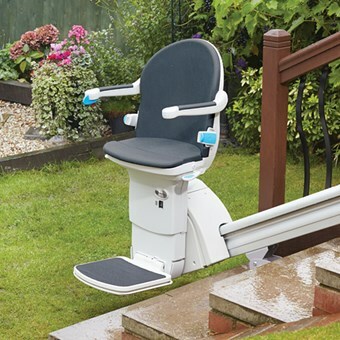 If you have an external flight of stairs leading to your house or just a few steps down to your garden then an outdoor stairlift is the perfect solution. We supply outdoor stairlifts for straight stairs with a choice of manufacturers and budget options available. If your external staircase has bends or mid-landing areas then there is only one stairlift that can do the job satisfactorily. The Hawle external stairlift is supplied and installed by Dolphin Stairlifts and manufactured in Germany by Hawle Treppenlifte. The Stannah external stairlift for straight stairs, has been designed from the ground up to be used outdoors. Many external stairlifts are merely internal stairlifts with some added protection in terms of weather-proofing, the Stannah goes a step beyond this to ensure that the Stannah 320 will continue to function for many years in an outdoor environment. 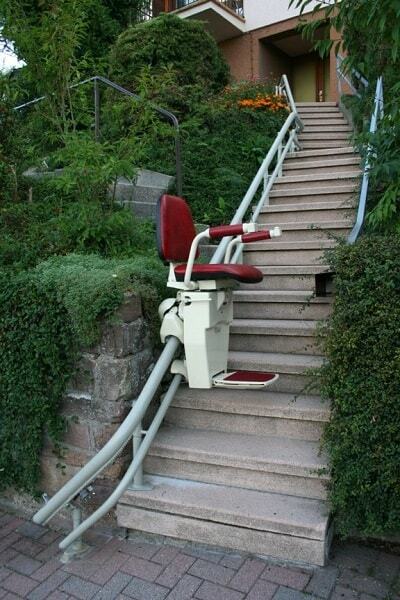 The Hawle external stairlift is an Outdoor Stairlift which will operate on stairs with bends and mid-landings. Engineered in Germany and installed by Dolphin Stairlifts in the UK, the Hawle has finally provided a solution for people with a curved staircase outdoors. 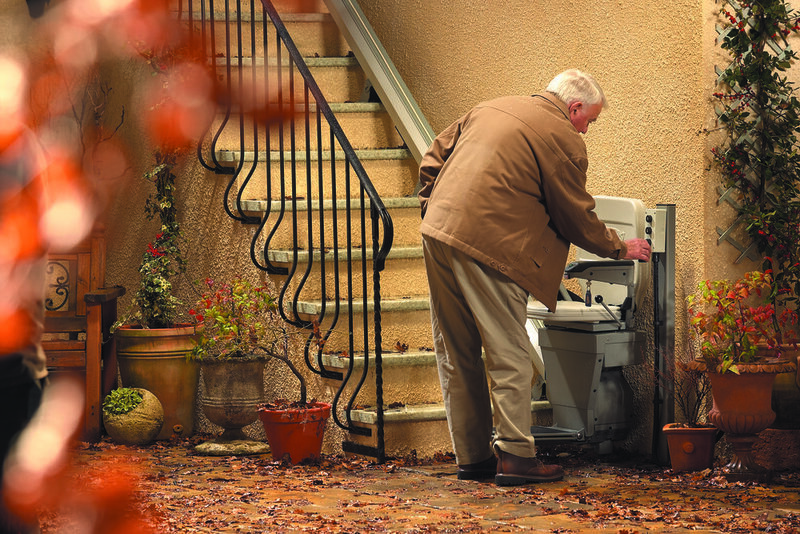 The Minivator 1000 Outdoor stairlift is waterproofed and designed to overcome the problems caused by an external staircase which doesn't have any bends. The Slate Grey upholstery is UV protected and the 1000 Outdoor stairlift also comes with a waterproof cover to keep it protected from the weather so it is always ready for use. Meditek have weatherproof versions of their E120 and D160 straight stairlift models which are suitable for external use.